NCT's Taeyong is once again under fire for his recent radio show "controversy", which included "impolitely disposing" of his script. The group member isn't exactly in netizens good favor considering his past. 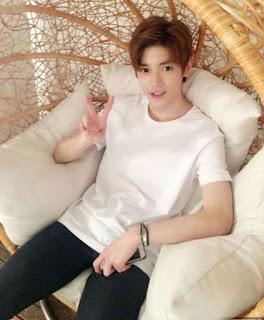 Taeyong has previously apologized for his actions during an episode of Naver's V App. Netizens aren't happy with the apology and continues to hate on the rookie artist. In a recent radio show broadcast, Taeyong was seen "impolitely disposing" the script used for the show. Netizens claims this shows his true personality. What do you think of the artist's actions?